This is a third consecutive baby photo session that I photographed in my very own neighborhood. I am on a roll to becoming a number one newborn and family Lakeview photographer. Ok, maybe I am getting a little bit ahead of myself, but I would love nothing more. My neighborhood is amazing and people in it are even more so. As someone who just moved here, I feel like we scored a lottery by moving to this area of town. I just love it. 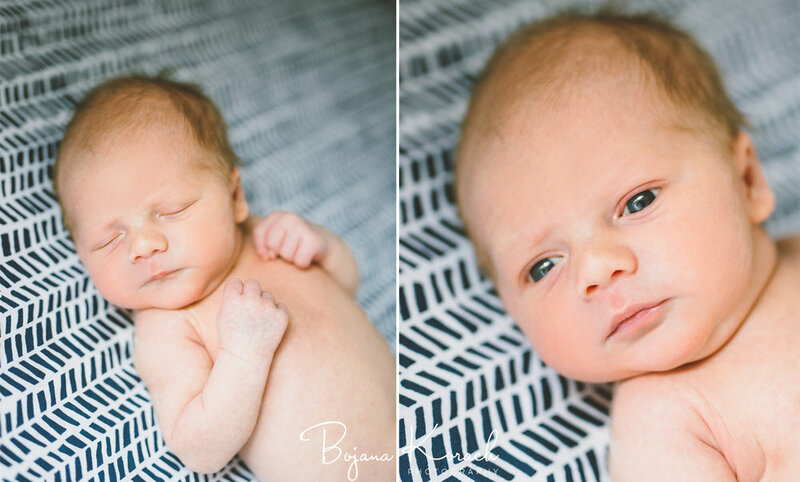 I enjoy being a lifestyle newborn photographer because I get to capture the baby's first days in their own environment. I am able to photograph the beautiful nursery, crib, big furry brother and all the details and emotions, which I then visually weave into a one of a kind photo story. Baby Callum was the sweetest throughout the entire session. Enjoy!